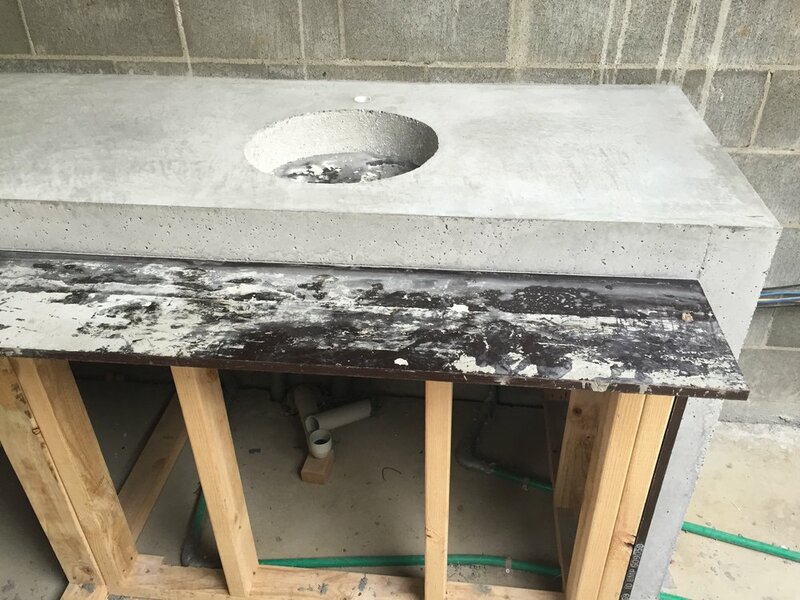 This bench was built out of concrete for the BBQ and Sink to be integrated with cabinetry to fit neatly underneath. 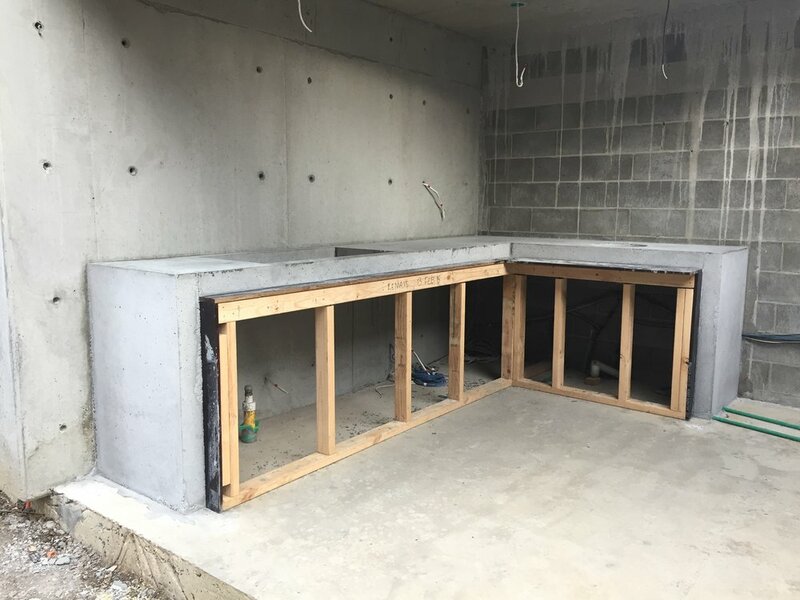 The steel starter bars were drilled into the concrete walls and floor with steel bar tied to it to form a self supporting structure, the boxing was then put in place to form a 100mm thick concrete slab. The concrete was placed and vibrated and steel trowel finished on top to form a smooth surface. The boxing was left in place for 4 weeks while the concrete set fully, Then fitted with the appliances, cabinetry and finished.